The first consultation will determine the cause of your problem and what, if any, surgery is required. Initially, you will be asked to fill out a registration form, a health questionnaire and possibly a standardized outcome questionnaire. Please arrive 10-15 minutes early to complete these or download them from our Patient Forms page. Dr. Razvan Stoita will then take a detailed history of your presenting complaint and will perform a physical examination to assess you hip or knee problem. X-rays and any other relevant medical imaging will be reviewed. 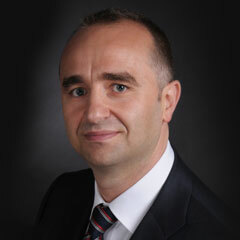 Dr. Razvan Stoita will then explain the nature of the problem and the recommended treatment. Sometimes it is not possible to formulate a diagnosis at the first visit and you may require further investigations such as MRI or blood tests. Dr. Razvan Stoita will organize these for you and a follow up appointment may need to be organized to review these investigations and make a management recommendation. Following your first appointment, an initial consultation fee is payable on the day some of which you will get back from Medicare. You must bring a referral from your GP or another doctor.